The three-day annual event attracts almost 80,000 visitors from more than 130 countries. 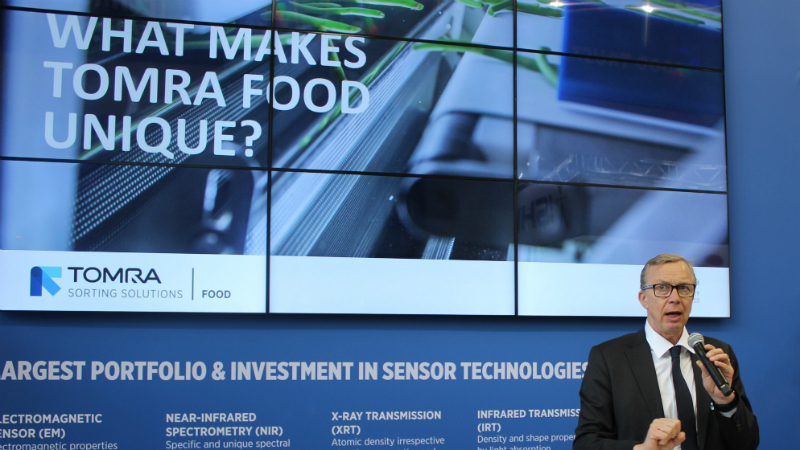 TOMRA’s president and CEO Stefan Ranstrand chose this occasion to give a speech on TOMRA Food’s exhibition stand about the company’s unique offering, values, and future aspirations. At the heart of his talk was the message that TOMRA can contribute to global sustainability by helping to reduce food waste, at the same time as enhancing the technical and economic performance of food producers. Ranstrand said: “One of our big aspirations for the future is to help our customers even more to reduce food waste and improve yields. Talking further about customer relationships, Ranstrand cited how fruit picking and sorting seasons can be very short, demanding a huge amount of work to be accomplished quickly without unplanned downtime. This is why he believes the key to TOMRA’s success is working closely with customers as partners. On the subject of investing in technology, Ranstrand commented that digitalisation will be of utmost importance. TOMRA’s exhibition stand at Fruit Logistica Berlin highlighted TOMRA Food’s technical leadership, food trust, and digital transformation pillars. Through technical leadership, TOMRA enables producers of products such as fruit and vegetables to improve accuracy, efficiency and yields. 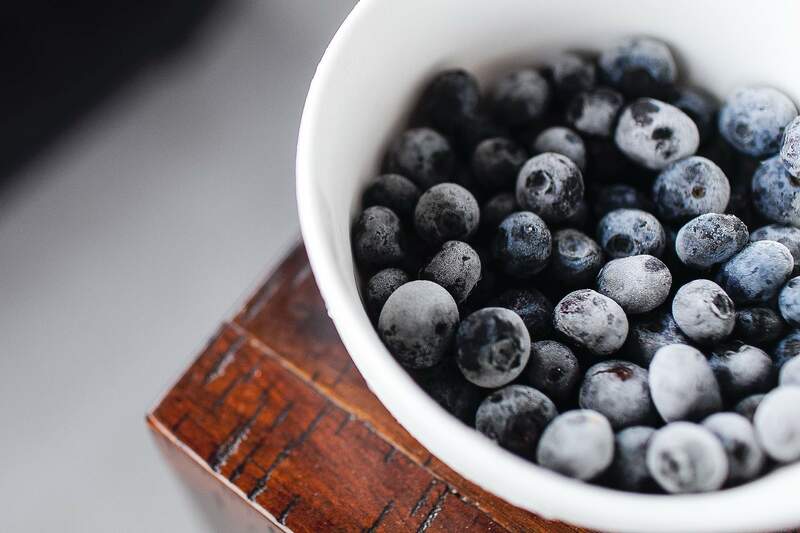 To help brands establish food trust and safeguard their reputations, TOMRA enables food producers to ensure high standards in food quality, hygiene, and traceability. And through digital transformation, data analytics are optimising machine efficiency, reducing operational costs, and assisting food traceability. TOMRA Food is one of the biggest providers of sorting and grading solutions to the food sector, with more than 8,000 units running in 80 countries. The company has grown at a rate of 14% per year in the last five years, with acquisitions in the food sector further increasing the company’s international reach and financial strength. In the ten years since Ranstrand joined the company, he has led TOMRA on a transformational journey, turning a collection of entities into one strong, unified brand and making the group the world-leader in reverse vending technology and sensor-based sorting solutions for the food, recycling and mining industries. In this year’s prestigious European CEO Awards, whose winners were announced last month, Mr. Ranstrand was named “Best CEO in the Sustainable Resource Management Industry”.